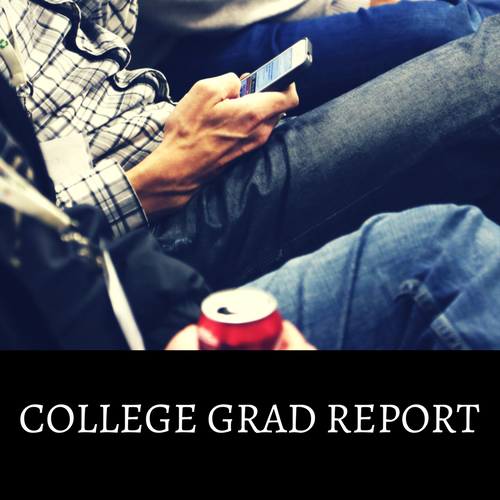 College Grad Prospects on Par with Last Year | Challenger, Gray & Christmas, Inc. The overall prospects for college grads are on par with last year, according to the National Association of Colleges and Employers College Graduates’ 2017 Job Outlook. Just over 98 percent (98.3) of employers plan to hire bachelor’s-degree earners in 2017 compared to 98.2 percent last year. Those with business degrees are most in demand, according to the survey. Nearly 78 percent of employers plan to hire business-degree holders, while 70 percent want those holding engineering degrees. Another 54.2 percent will hire graduates in the computer and information sciences field. While women continue to earn more college degrees than men year-over-year, the most in-demand degrees are in male-dominated programs. According to an analysis of 2012 education data from the National Center for Education Statistics by Randall Olson, less than 20 percent of bachelor’s degree-holders in computer and engineering fields were women. Just over 40 percent of bachelor’s in business were women. “Companies benefit from having a diverse workforce, and many employers want a gender-equal workforce. Encouraging women to enter and thrive in these fields will have an enormous, positive impact on the workplace,” said John A. Challenger, CEO of global outplacement and executive coaching firm Challenger, Gray & Christmas, Inc.
College graduates in the computer and information technology sector are experiencing the highest rate of employment, according to 2015 data from NACE, with 76 percent. The class of 2015 has an employment rate of 58.4 percent, compared to the 55.4 percent of 2014 college graduates who found full-time employment. “The fastest growing industries in the United States this year are in construction and IT, but that does not mean that other industries are not hiring. Relocating may make it easier for college graduates to find jobs, as certain cities are currently booming with growth. Beyond the typical metropolitan centers like, Los Angeles and New York, we found smaller cities, like Denver are experiencing a job growth as well,” said Challenger. Bachelor’s degrees are not only beneficial to recent college graduates. Older college graduates face much lower levels of unemployment when compared to those who did not finish high school, only finished high school, or only finished part of college. The unemployment rate for college graduates age 25 and over was a mere 2.5 percent, according to the Bureau of Labor Statistics. This number held steady with the January 2016 unemployment number, suggesting that new college grads have the potential to have an equally successful hiring year. Although this is a great time to get into the job market, competition is fierce. When it comes to applying for jobs, applicants need to stand out. One way to stand out is by having a complete resume. Resumes allow employers to see how skills gained in college and through internship experience can transition to the work force. Make sure to show off unique experiences, including study abroad, volunteer activities, and student leadership positions, and do not be afraid to emphasize accomplishments. “The most important thing grads can do to find their first post-college position is network. Not only do they need to utilize networking connections they made throughout college, including professors, mentors, employers, and students, but they should be building new contacts as well. Grads could do this by reaching out to employees via social networking sites like LinkedIn or setting up informal meetings and informational interviews with target companies,” said Challenger. “Once college grads start attending face-to-face meetings and going on interviews, they need to have stories emphasizing accomplishments, as well as team-working and problem-solving skills. “Perhaps you led a team on a class project or developed a strategy at work that made the office more efficient. You may have developed new skills through volunteer activities, such as fund-raising or event planning. Grads need to think through their college careers to prepare stories for hiring managers,” said Challenger.